Running on Pixie Dust: Ralph Breaks the Internet. . .and next, the Box Office! 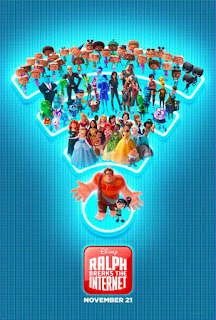 Ralph Breaks the Internet. . .and next, the Box Office! 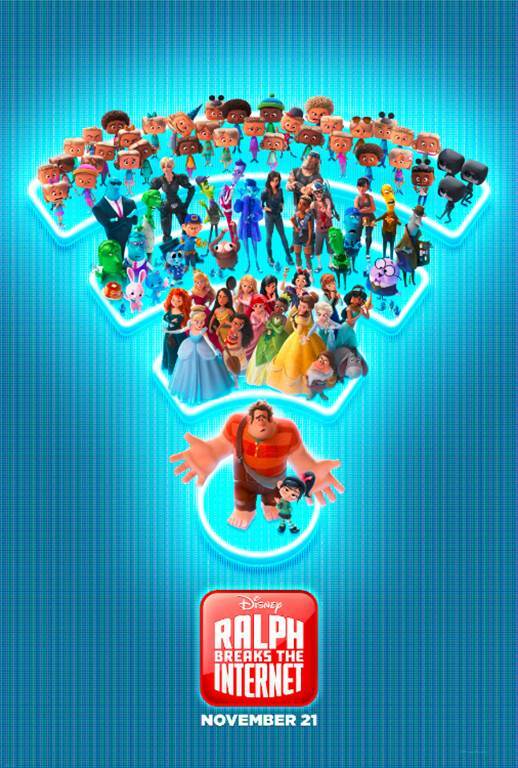 This title is pure speculation as I write my review from my advance screening last night, but I feel comfortable in saying that Ralph is going to "wreck it" when it comes to box office numbers this Thanksgiving season! Let's start with a confession - I haven't seen Wreck it Ralph. I know, pause for reaction. No worries though if you haven't seen the original as you're easily able to pick right up! In an attempt to save Vanellope's game, Ralph and Vanellope travel to the Internet and explore all the web has to offer. From social media sites, to online auctions, to gaming, and even the click bait that will lead them to the dark web, their adventures certainly become memorable. There is so much to love about this movie - and here are some of my spoiler-free reasons that I want to go back and see it again. Keep reading to the end for free downloadable activities for the family to enjoy! Dream Big, Princess - Most people have probably heard this Disney catch phrase over the past few years and it certainly resonates big time in this movie. It probably won't surprise anyone that I absolutely adored the already famous princess scene featuring leading ladies from throughout the decades. However, it's not a mere "cameo" that these princesses offer. They inspire Vanellope to chase her dreams by sharing their own stories and ultimately show up again to prove that women really are the ones that sometimes end up saving a "big, strong man." 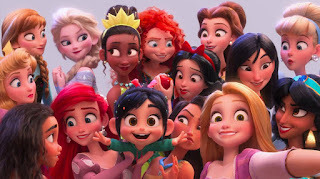 Friendship - The theme of friendship throughout Ralph Breaks the Internet plays on the complexities of relationships. There are many times that we are shown in movies and TV shows the idea that best friends do everything together, share every adventure - but we all know in reality that's not the case. Ralph and Vanellope explore what their friendship means as they travel through the Internet. As their adventures lead both of them down new paths, they ultimately learn that friendships sometimes change too. 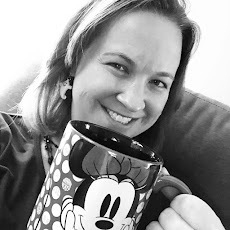 Social Media - I thought Disney did a great job portraying the power of social media in society - both for good and for bad. It's through the site Buzz Video that Ralph tries to save the day, but he also is faced with a cruel side of social media when he reads the comment section of the videos. The little versions of humans that are also on the Internet were also very telling as they blindly followed where the Internet led them. With as much as the Internet shapes our lives on a daily basis, I thought it was a really interesting look on our society. I don't think I've seen a movie with truly as many LOL moments as this one has in a long time. It's enjoyable as both an adult and for my kids. I would definitely make plans to visit the theaters soon to see this and bring the whole family along! When you go, don't miss the credits. There is not only one, but two great short scenes you won't want to miss! I hope you enjoy this movie as much as I did and can't wait to hear your reactions as well. Download Coloring Pages and Activity Sheets Here! My family and I received complimentary admission to an advance screening of this film in exchange for writing my honest review. As always, thoughts and opinions are honest, truthful, and my own!